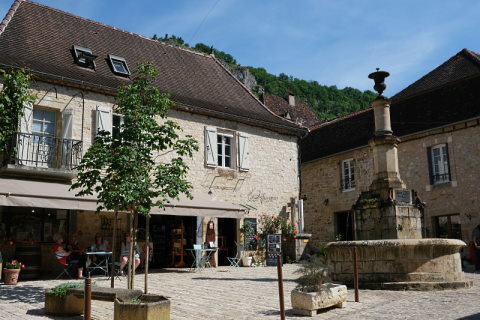 Autoire is in the Lot department, close to the border with the Dordogne and is one of the 'most beautiful villages of France'. 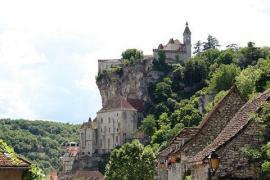 The village is set with a backdrop of the dramatic cliffs of the edge of the Causse. These form the Cirque d'Autoire. 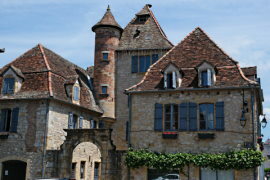 Autoire is to the east of Sarlat and Souillac. 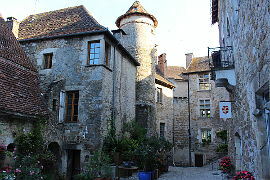 Despite being a small village it was once home to the bourgoise of nearby St Ceré and so has some very attractive 16 and 17th century houses built in the local honey coloured stone. The main square in the centre of the village is magnificent with a lovely fountain beautifully decked out in flowers during the summer. Around the edges of the square the lovely stone houses are simply charming. Steep rooves in a brown tile, turrets, colombage houses, mullioned windows - there are lots of attractive features to look out for. 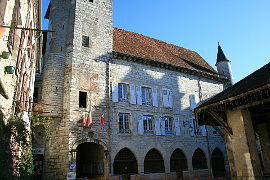 There are several castles and a manor house to see, including the Chateau de Limargue on the photo to the right. Well protected by the Vicomptes of Turenne during the Hundred Years War the village has changed remarkably little during the last 800 years or so. The 12th century church of St Pierre has a particularly simple and harmonious interior. The village boasts two restaurants, one of which has a terrace looking out on to the superb views from the village. Once you have explored Autoire head for the nearby path (a short drive away) which winds up above a 30m waterfall and offers splendid views both of the waterfall and the Cirque d'Autoire with the village of Autoire nestled into the cliffs. The Cirque d'Autoire can be reached from the road between Padirac and Autoire. There is also the ruins of a chateau - the Chateau des Anglais to see. This is a ruin set right into the cliff on the edge of the river. 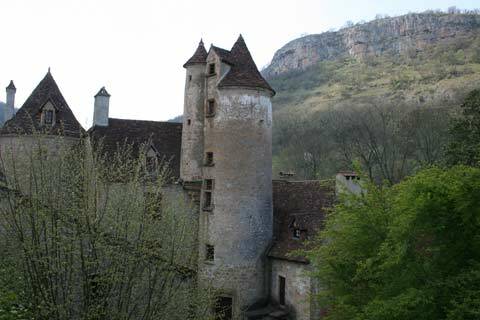 The chateaux of Montal near St Ceré and Castelnau near Bretenoux are worth a visit. 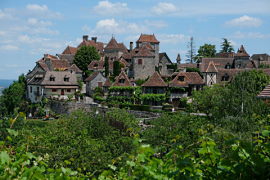 Autoire is one of the most beautiful villages of France and this area is particularly rich in these classified beautiful villages. 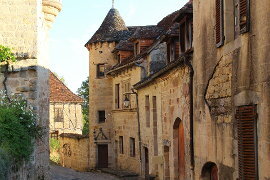 See also Loubressac and Carennac and Lacapelle Marival. The fabulous Gouffre de Padirac is just down the road. These splendid caves are reached via a punt-style boat and then you walk through the enormous cavern to admire the beauty of the caves. 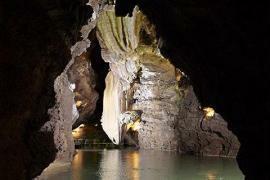 The Gouffre de Padirac is very busy so give yourself plenty of time for a visit. You may have to queue!